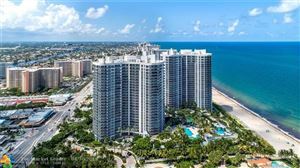 The L’Hermitage Fort Lauderdale is a pair of condos rising thirty stories into the skyline. 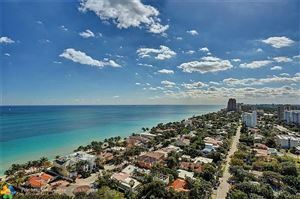 Each tower is afforded stunning views thanks to their height, sitting on 600 feet of gorgeous beach frontage. L’Hermitage offers the perfect marriage of beachfront living and proximity to the best attractions that the city has to offer. Living at the L’Hermitage offers resort style living in every sense of the word. Lagoon style pools, a nearby café with smaller pools designed to be kid friendly, and designated walking paths for your pets are but a few of the advantages of this property. It also offers a business center and social rooms for entertaining. L’Hermitage condo residences have wraparound glass railed terraces, floor to ceiling glass doors, state of the art alarm systems, kitchens with granite countertops and European cabinetry and elegantly appointed baths. Entertainment, comfort, and fine dining are just a few elements of the lifestyle at L’Hermitage condo. L’Hermitage is steps from Las Olas Boulevard, home to numerous shops and fine al fresco dining. Also near L’Hermitage is the Riverwalk open air mall which has a vibrant nightlife. 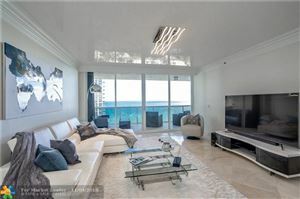 The L’Hermitage is a great pied-a-terre close to the Fort Lauderdale International Airport, interstate 95 and many of the numerous South Florida attractions.